With an array of glorious beaches, exotic islands and tasty cuisine to try out, it’s easy to see why Phuket is such a popular destination for families. However, to get the most out of your trip, you will want to ensure that any activities you participate in are age appropriate for your children. If your kids are between the ages of four and eight-years-old, here are five fun-filled activities you can do when in Phuket. 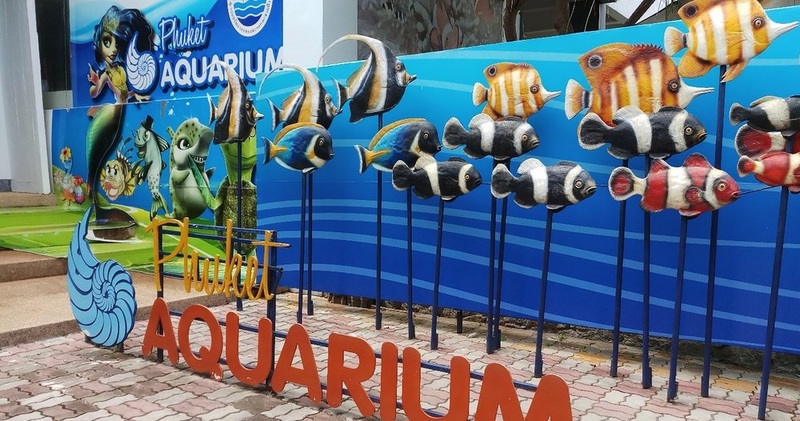 If you are wanting an afternoon full of fun, no trip to Phuket is complete without visiting the Aquarium at Cape Panwa. Recently renovated and home to thousands of colorful, tropical and exotic marine creatures, your kids are sure to be mesmerized by what lurks beneath the surface. Getting up close and personal with the creatures of the water can be educational for all the family too, and it’s the ideal place to visit on a rainy day. There are a variety of rooms within the aquarium, and in addition to colorful exotic fish, you’ll also get to see seahorses, turtles, moray eels and leopard sharks. The current entrance fee is 100 baht for kids, and 180 baht for adults, and you can remain in the aquarium all day if you want to! Another activity that can be great for the whole family is a visit to the Phuket Trickeye Museum. Housed in a huge two-story building, the museum provides visitors with an interactive 3D painting exhibition, which can be the perfect opportunity to take family selfies! 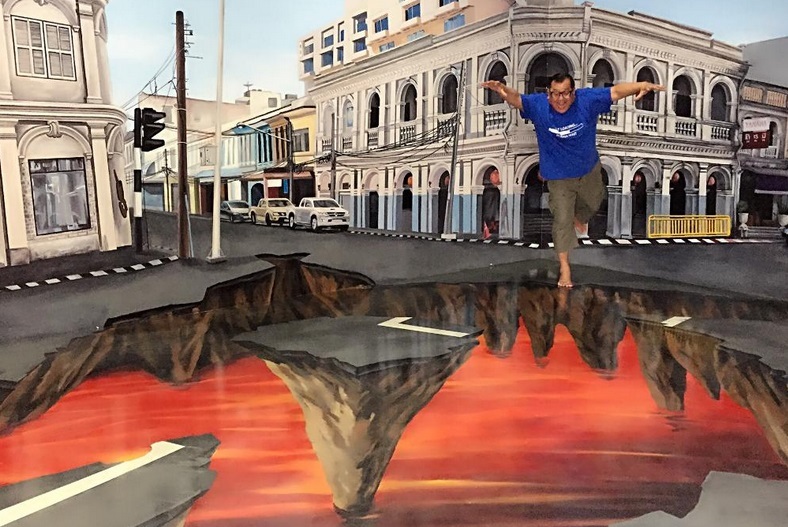 What’s more, there is a gallery which includes nearly 100 sculpted and painted scenes by using trompe-l’oeil (known in English as ‘deceive the eye’) techniques, which can place visitors in hilarious and mind-boggling world-like situations. The Trickeye Museum is open daily from 10 am – 7 pm with the last admission being at 6 pm. Anyone who wants to receive fast track entry can book their tickets via the museum’s website with child tickets costing 270 baht and adults costing 450 baht. Located close to Phuket Airport on Mai Khao Beach, the Splash Jungle Water Park is one of the most popular attractions to visit for families in Phuket. 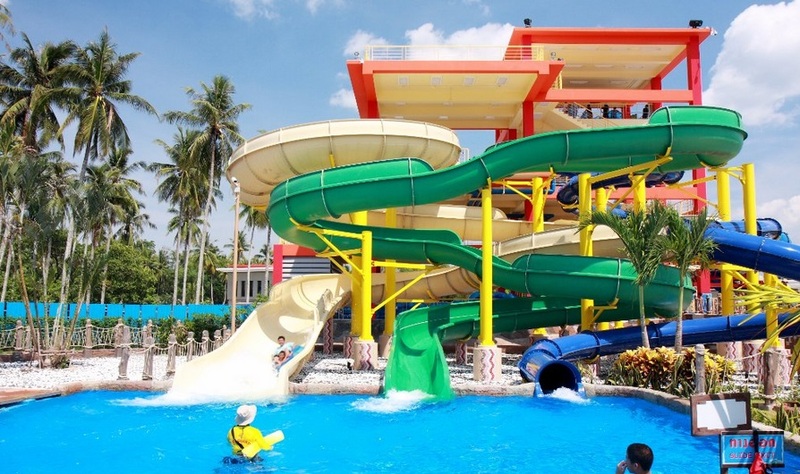 If you are looking to thrill your kids, the water park has 12 exciting water slides and rides to try out. Also, there are professional lifeguards dotted across the park to ensure you all have a fun and safe time. To make the most of the day and to beat the crowds, it’s best to arrive early in the morning. The water park is open between 10 am and 6 pm and anyone staying at the Grand West Sands Villas in Phuket will be able to enter at a reduced rate. That said, compared to Western prices, it’s still cheap to enter on a day pass. Take a relaxing ride along the lazy river that circles the park, or takes your chances on the heart-stopping boomerang. With so many attractions available at Splash Jungle, both young and old alike will be spoiled for choice. 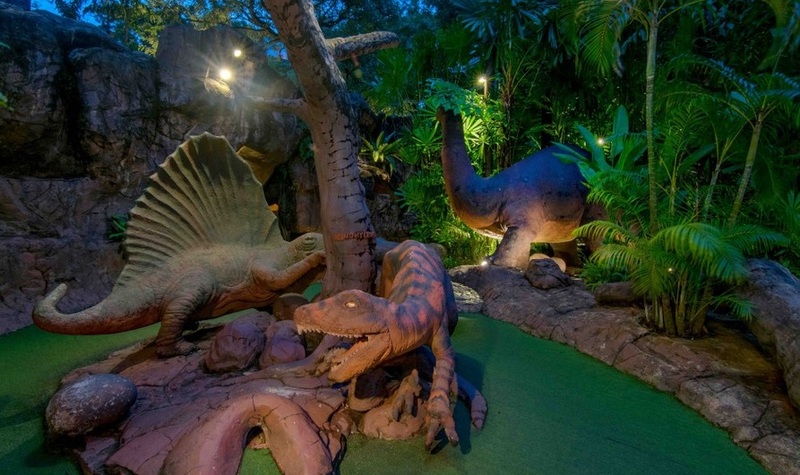 Dino Park Mini Golf is a fun and quirky mini-golf course that can be enjoyed by all age ranges, making it a perfect option for young kids. Situated in the middle of Karon and Kata beaches, the attraction includes a full 18-hole course. If you get hungry, you must head to the Flintstones-themed restaurant located on-site. 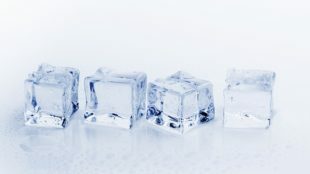 To get the most out of your visit, it’s best to visit once the heat of the day has abated. 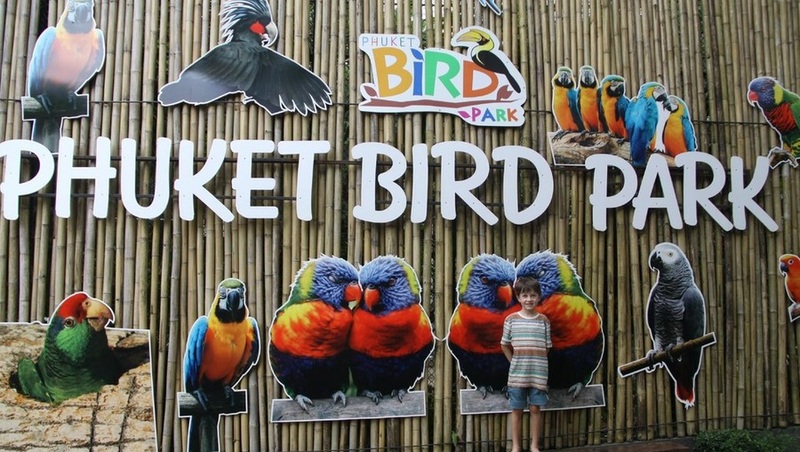 Home to thousands of birds from across the globe, the Phuket Bird Park is a must if your young kids love wildlife. With winding paths, exotic flora, and a souvenir shop to take home some goodies, be prepared to view some of the most colorful and tropical birds in the world. Located on over 12 acres of land, visitors won’t feel crowded at all when visiting this attraction; and the beautiful gardens and waterfalls will definitely leave you feeling at peace. What’s more, you can enjoy one of the bird shows if you want to – these happen at 10.30am, 1.30pm and 3.30pm. Finding somewhere to stay that’s suitable for your family is important. With that in mind, you may want to consider Phuket’s Holiday Inn Resort. Regarded as the best family hotel in Phuket, your children can join the kids club the hotel provides as well as a kid’s pool. Your trip to Phuket should be one you and your family will remember for all the right reasons. Therefore, picking activities that all the family can join in on can make a huge difference, ensuring your vacation goes according to plan.